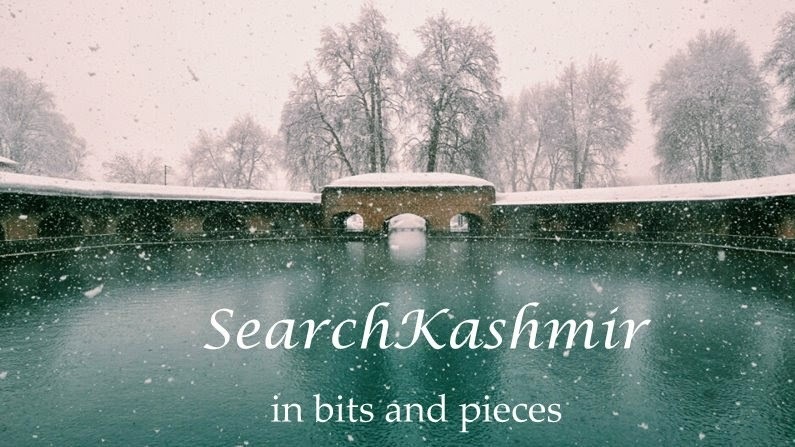 Andy Singh shares a photograph from his personal collection. 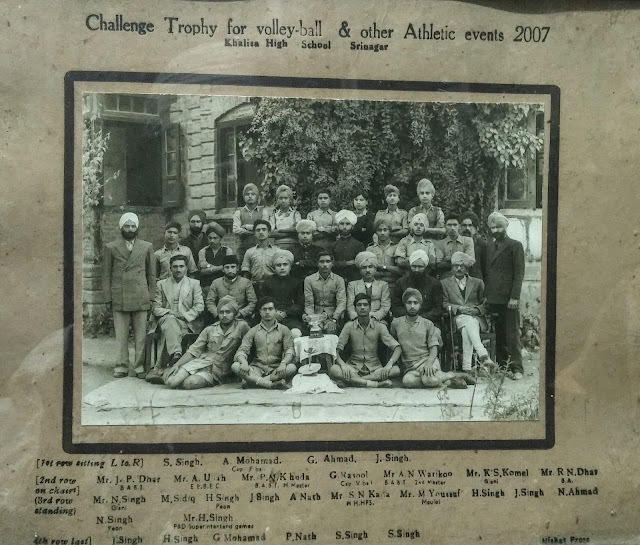 Khalsa High School, Srinagar. 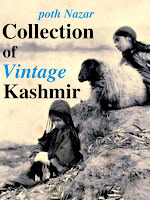 2007 Bikrami (1950). 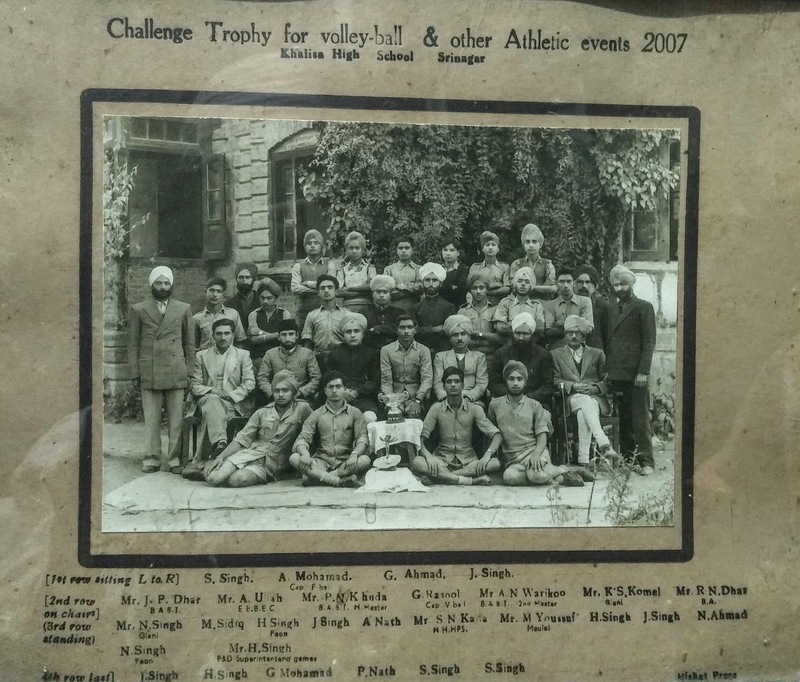 He writes : "My late uncle Satwant Singh Sawhney ji is in this photograph ( first left , first row sitting )."